The Manipulation act was specifically created by Michael Moschen for Cirque du Soleil. 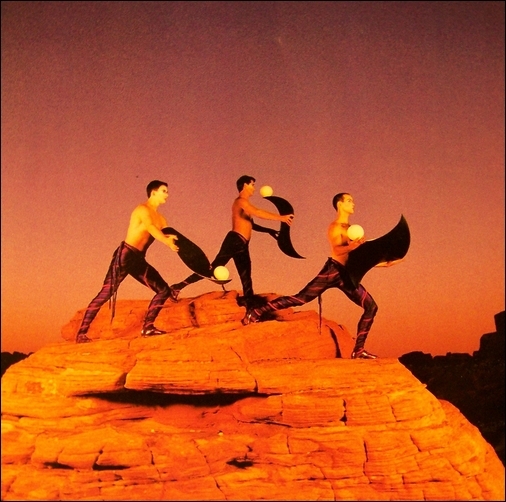 From the show's premiere through to the end of the 1995 season, Jean Besnard, Patrick McGuire and Steven Ragatz performed this act. Starting with the 1996 season, Patrick McGuire and Steven Ragatz were asked to take the act on the road, as it were, in Cirque du Soleil's 1996 touring production QUIDAM. They did, which left a void in the show's line up to fill.